YouGov Sport provides international research in sports, sponsorship and entertainment providing the world&apos;s biggest brands and rights-holders with actionable insights that go far beyond the numbers. Robust, dynamic solutions, augmented by our unique connected data set - The YouGov Cube. Highly experienced experts who design research for the world&apos;s sports and entertainment leaders, committed to solving your challenges. The team works with rights holders, brands and agencies and uses proprietary tools to help create winning sports and entertainment marketing strategies. Our client roster stretches across the world from top American rights-holders to the most visible European and Middle Eastern brands. The team’s expertise empowers clients to find optimal sponsorship matches, assess the effectiveness of partnerships and deliver best-in-class sports marketing strategies. 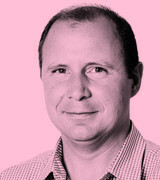 Frank Saez is the founder and leader of YouGov Sports. Managing a team of 40+, Frank is recognised by his peers as one of the foremost practitioners in global sports business analysis and research, Frank has over 20 years international experience, working with some of the world’s leading sports rights holders and sponsors. Over the years, Frank has gathered many of the industry’s leading minds and practitioners into YouGov Sport to provide a unique and comprehensive client service. Known for speed, innovation and quality service, the leadership team is supported by a large cast of young and hard-working talent. In putting clients first, YouGov Sport is proud to be highly regarded as both an employer and service provider.